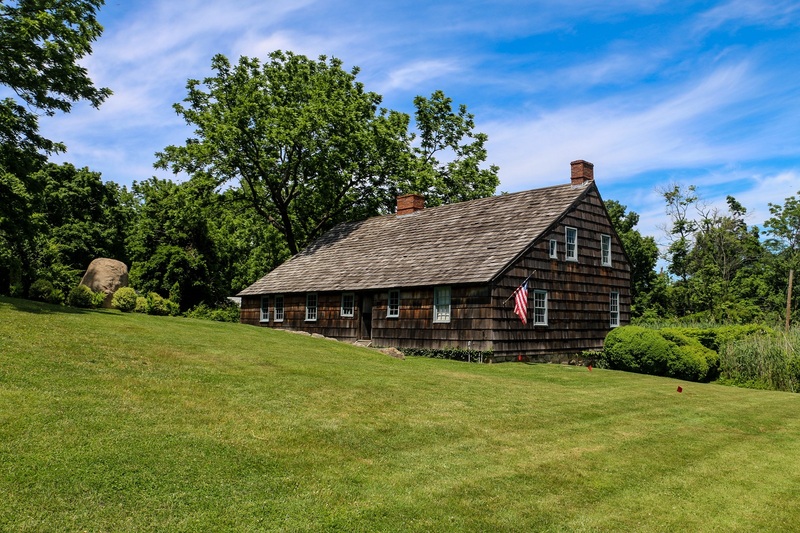 Built in 1665 and considered the oldest house in the Town of Brookhaven, the Brewster House was home to six generations of Brewsters. The house has transformed over the centuries from the one-room cottage to its present saltbox structure. During the American Revolution, Joseph Brewster operated the house as a tavern and general store, entertaining British troops inside. American Patriot Caleb Brewster, cousin of the Joseph Brewster and presumably a frequent visitor to the house, was a member of George Washington’s Culper Spy Ring during the Revolutionary War. On December 7, 2015, Supervisor Ed Romaine, Councilwoman Valerie M. Cartright, Town Clerk, Donna Lent, and Town Historian, Barbara Russell, joined members of The Ward Melville Heritage Organization (WMHO) Board of Trustees to commemorate the 350th Anniversary of the Brewster House, 1665.